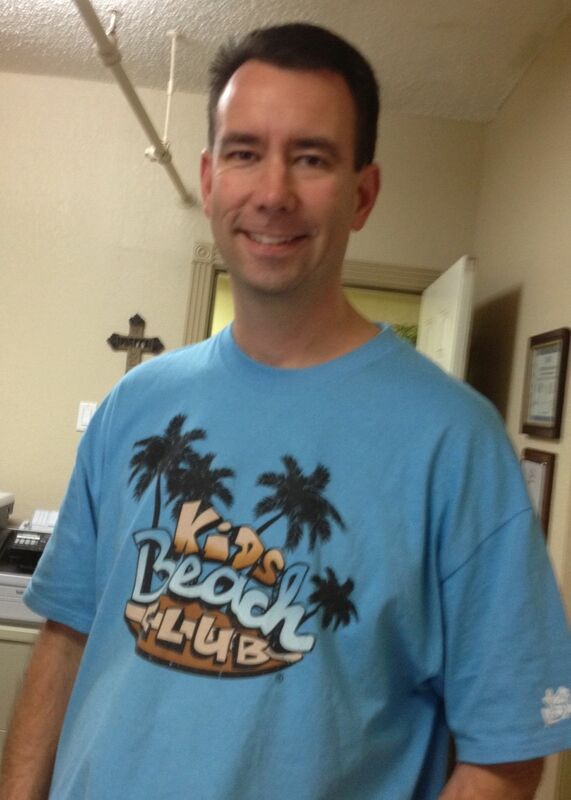 Mike Ackerman has been involved with KiDs Beach Club® for several years. Mike has served as the worship leader at Shady Oaks Elementary School since Beach Club was introduced there seven years ago. Mike shares that he takes seriously his commitment to serve each week, but admits that sometimes when the kids get, well, lets say, a bit over-excited he finds himself asking, “Lord, why me?” He found himself asking that question on more than one occasion, but never really getting an answer. It certainly didn’t deter him from serving, but he really wondered “why?” sometimes. Approximately four years into pondering that question Mike heard God’s response loud and clear. “He [God] said to me, ‘Kids need a positive male role model in their lives that will help lead them to Christ.’ I just sat there and said, wow!” Sometimes working with kiddos full of energy can be overwhelming. When we step back and see the big picture and remember the main reason why we do the things we do it makes even the challenging times worth it. Mike has said that he’s sure he does plenty of things in life that are probably a waste of time, but KiDs Beach Club® is not one of them. A special Thank You goes out to Mike and all the volunteers who faithfully serve each week. You are welcoming kiddos into a safe place and showing them the unconditional love of Jesus Christ. You are making a difference!